Here you can find information on this rare U.K. only VW. It first appeared in Mk1 form in 1979 and was such a success that it was re-introduced in 1980. 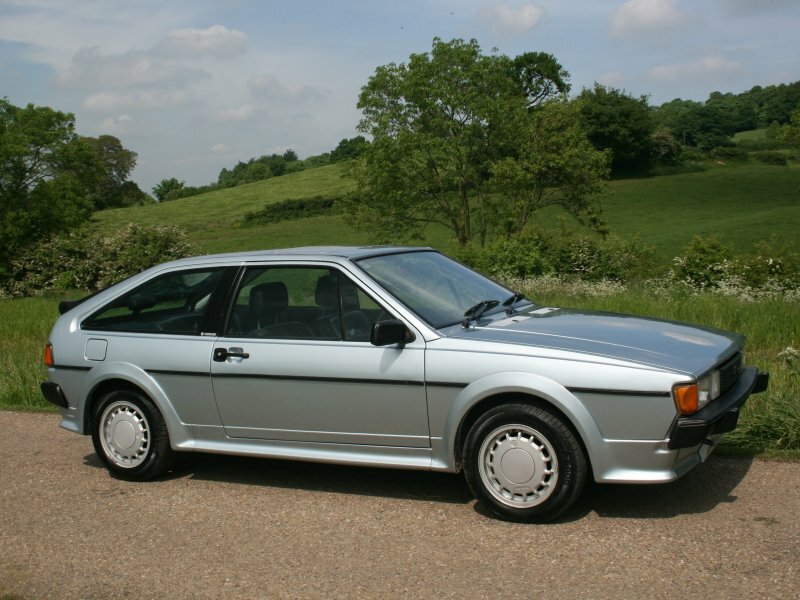 The Mk2 Scirocco Storm was unveiled in 1984. This time limited to only 600 cars, 300 of each colour. Even the run out model of the Corrado was branded a Storm. The main attraction of these much revered cars must be the leather interior, a bonus as it is much harder wearing than the usual VW cloth trim. Only a handful of Mk1 Scirocco Storms are around today, even the Mk2 is becoming rare. Storms must be the most practical classic sports coupe available, and they don’t cost the earth to run. I have put this (my first) site together using VW brochures, which can now be downloaded, as source material plus my own experience with the car. Originally this was intended to be a Storm only site, but I am now trying to add all of the FACTORY Sciroccos. Scirocco GTX, Scirocco GTI etc. Many thanks to the countless people that have contributed to this site in the 10+ years that it has been online.